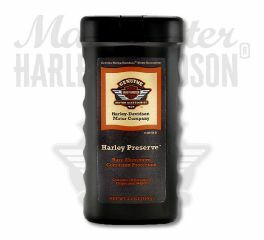 Keep your bike looking as good as it runs with Harley-Davidson motorcycle cleaning products. 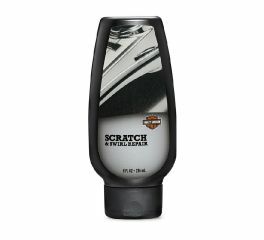 Whether it's wheel cleaner, chrome polish, or scratch and swirl remover, all products are formulated especially for use on Harley-Davidson motorcycles. Provides superior corrosion control for bare aluminum surfaces by forming a protective polymeric coating. The long-lasting formula is detergent and UV-resistant, and is compatible with Harley-Davidson® approved painted surfaces. The convenient dispensing container includes 20 disposable wipes for easy treatment application. Ideal for bare aluminum machined wheels. 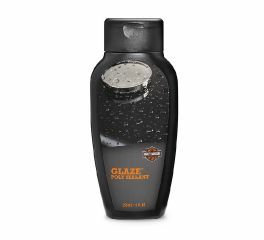 Should not be applied to mirror-polished surfaces or areas that will achieve operating temperatures greater than 300 degrees Fahrenheit. 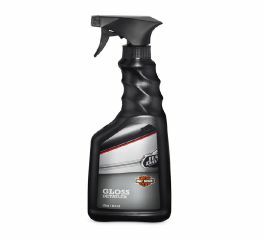 This easy-to-apply Gloss Detailer produces the highest possible gloss finish in the shortest amount of time, yet is non-abrasive and provides UV protection. The natural acids in the insect's system can be very damaging to motorcycle finishes if not removed quickly. Bug Remover clears away splatter with little effort. Bare Aluminum Wheel Protectant provides superior corrosion control for bare aluminum surfaces by forming a protective polymeric coating. 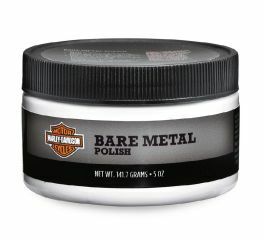 The long-lasting formula is detergent and UV-resistant and is compatible with Harley-Davidson approved painted surfaces. Make your engine look new again. 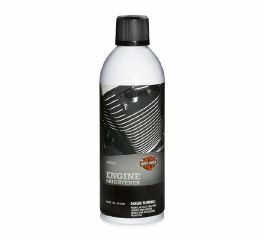 Engine Brightener refreshes and rejuvenates tired wrinkle black finishes on engine cases, cylinder fins, covers or anywhere else the colour has faded or lost its luster. Formulated with high-temperature silicon polymer, this detergent-resistant finish restorer cleans deep into the wrinkle black surface and "moisturizes" the finish to return the original satin sheen. Just spray it on, let it soak in and wipe away for a fresh look. 11 oz (311 g) Aerosol Can. Return the shine to your chrome exhaust. 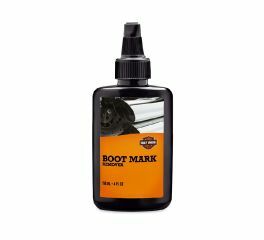 Formulated to break down rubber marks and road tar, Boot Mark Remover exhaust cleaner is applied directly to the soiled area. Just cover the target area with gel when the exhaust is cool and let it do its thing. Scrub and wipe away the residue, then rinse clean. Ideal for removing boot marks, asphalt resin, baked-on insects and melted plastic bags. 4 fl oz (118 ml) Bottle. Fast and easy to use, Quick Wash is tough on dirt, oil and bugs, but gentle on other surfaces. 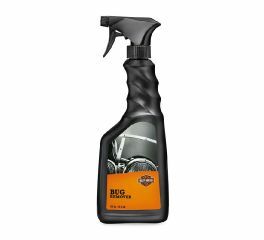 This all-over bike cleaner is safe for use on all surfaces of your motorcycle and does not strip wax, corrode fasteners or spokes or stain leather and vinyl seats and saddlebags. Just spray it on and hose it off. Quick Wash gets into hard-to-reach spaces and cleans without scrubbing. Sheeting action rinses clean and prevents spotting. Available in easy-to-handle trigger pump bottles and convenient refill containers. 16 fl oz (473 ml) Spray Bottle. This easy-to-apply mist produces the highest possible gloss finish in the shortest amount of time. 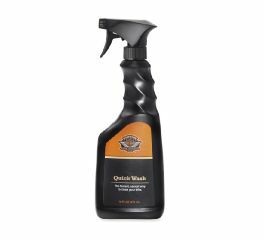 Formulated to enhance luster and provide UV protection between waxes, this nonabrasive quick detailer can be applied to paint, clear coat, chrome, powder coat, windshields, vinyl and plastic. Gloss Detailer contains no waxes, silicones, oils or hydrocarbon solvents and will not remove Glaze Poly Sealant. Formulated to remove fine scratches and swirl marks from gloss paint, this unique compound contains nonrigid abrasives that provide good initial leveling action on clear coat and become less aggressive while being buffed. This staging of grit size provides the benefits of a several step process in one convenient bottle and leaves your clear coat with a "new bike" shine. 8 fl oz (236 ml) Bottle. Remove bugs with little effort. Bugs have natural acids in their systems that can prove to be very damaging to motorcycle finishes if not removed. 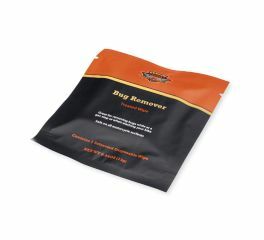 Bug Remover melts away bugs and is safe for use on metal, painted and plastic surfaces, including H-D® windshields. The road provides plenty of nasty elements that can be potentially damaging to the finish of motorcycle wheels. Wheel & Tire Cleaner safely removes brake dust and road grime from wheels, tires and whitewalls in seconds. Also recommended for cleaning Harley-Davidson black-coated exhaust pipes and mufflers. This revolutionary cleaner lets riders wash their bikes where they want to - in the sun. Most bike wash products can be used only on cool days or in the shade. 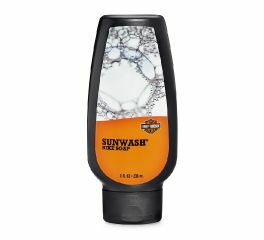 Sunwash Bike Soap has a unique sheeting action that prevents hard water spots, and rinses clean even on hot days in the sun. Safe for use on all vehicle surfaces including denim paint. 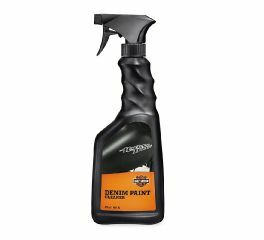 Specially formulated for denim paint, this handy quick detailer cleans and protects the silky matte finish. Cleaner won't streak or leave residue. Just spray and gently wipe away oils, fingerprints and dust. 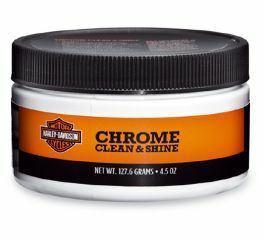 Compatible with all surfaces on Harley-Davidson motorcycles, this formula cleans without buffing, so you can avoid "polishing" the denim surface. Heavily soiled surfaces should be washed with Sunwash Bike Soap and water before application. Three products in one bottle. A durable, breathable, clear poly sealant with UV protection that protects against fading and the oxidizing effects of acid rain and harsh airborne pollutants. An ultrafine leveling agent that removes fine scratches and minor blemishes in clear coat finishes. And a cleaner tough enough to handle tar, tree sap, stains and pollutants. Glaze Poly Sealant is easy to apply and hand buff for a deep, reflective finish. For use on all chrome-plated and gloss painted surfaces. Not for use on brake discs or denim, semi-gloss or wrinkle-finish surfaces. Leather Protectant offers the most effective weatherproofing and preservative action for leather saddlebags, tank panels, gear and apparel. 6 oz (170 g) Container. 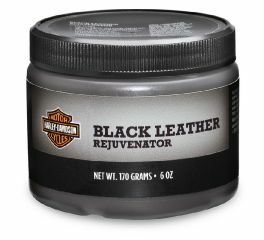 Black Leather Rejuvenator puts new life back into faded black leather seats and saddlebags. To re-colour and condition weathered leather, just clean the surface and apply the treatment with a Disposable Detailing Soft Cloth. Wipe off the excess, buff the leather surfaces to the desired shine, and your leather looks like new. 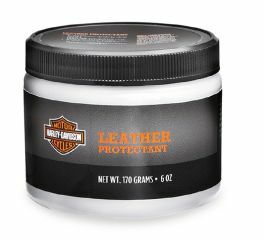 For lasting weather protection, follow the application with H-D® Leather Protectant. 4 oz (113 g) Container. Professional strength nonabrasive cleaner is formulated to ensure maximum shine on chrome-plated surfaces. The detergent-resistant formula is easy to apply and can be buffed to a bright, long-lasting finish. 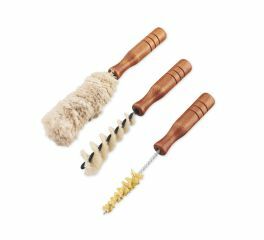 Can also be used to clean decorative brushed aluminum/stainless steel surfaces. Professional strength micro-abrasive polish is formulated to remove oxidation and refurbish metal motorcycle parts that have lost their original finish. Recommended for use on polished aluminum or polished stainless steel surfaces that are not clear coated. 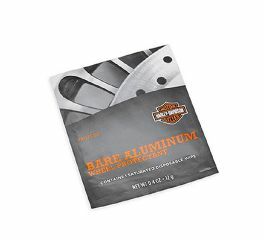 Not for use on painted, chromed or plated surfaces or decorative brushed aluminum or stainless steel finishes.